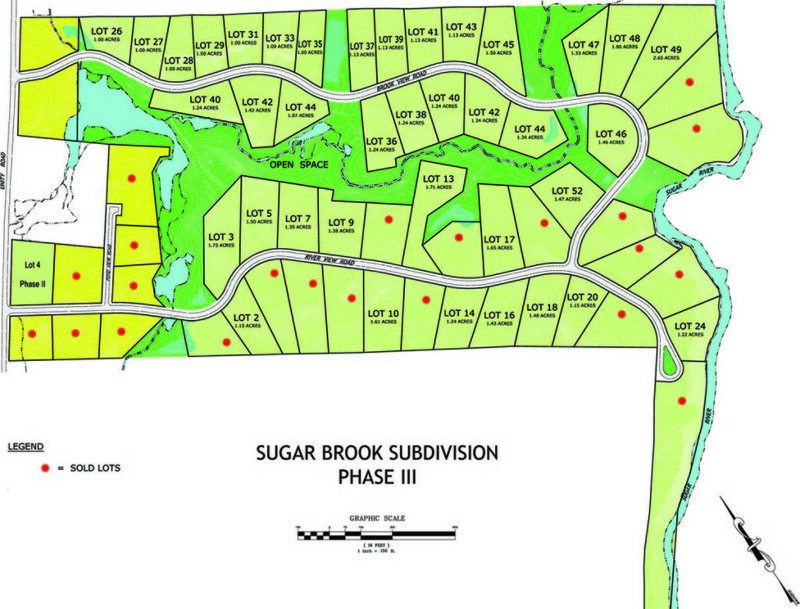 Sugar Brook is home to 63 single-family residences situated on 130 acres of beautiful rolling hills, ponds, brooks and over 2700 feet of exclusive river frontage. Located in historic Newport, New Hampshire 1 mile past Newport golf course. Enjoy over 20 acres of open space, Sugar Brook is where luxury can be affordable. Lots in Sugar Brook feature Town water, private septic, paved roads, and utility access from both Comcast and Fairpoint. Plenty of lots still available starting around $30,000. Call us today to get current pricing or schedule a site visit.